This is an INSTANT DOWNLOAD. You will not receive a copy of this in the mail. Once, you complete your purchase, you will immediately receive an email with the digital download for this item. "Rock of age, cleft for me, let me hide myself in Thee." 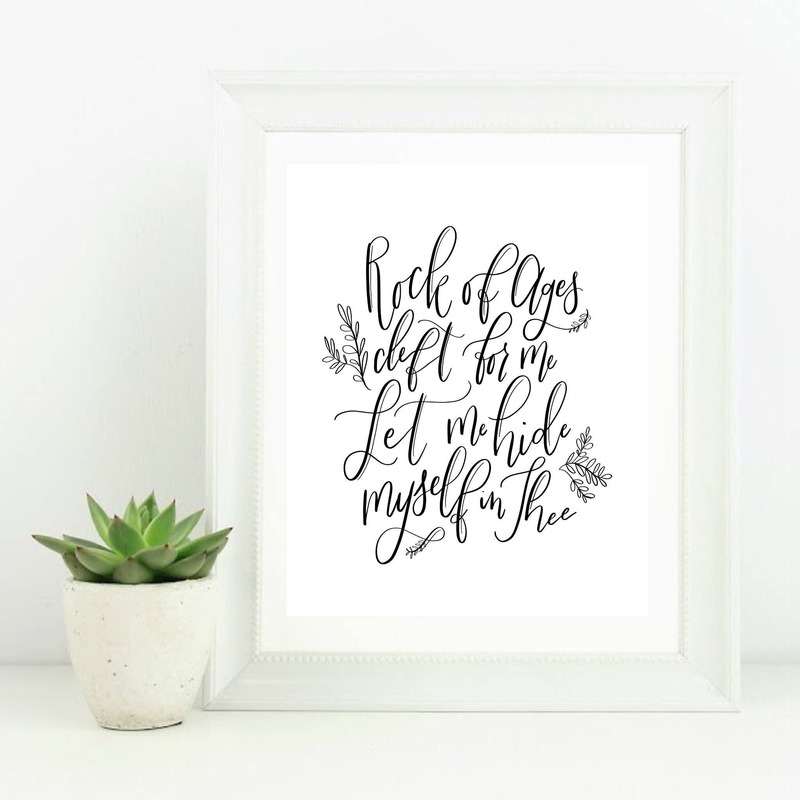 This print is drawn and hand lettered by me on a solid white background. This listing is for an INSTANT DOWNLOAD of a JPEG file for this particular print. Please send me a message if you would like the printable in a different size and/or color. There may be an extra charge for this service. - Click “Download”, save the file to your computer, print, and voila! Don't see exactly what you're looking for? Send me a message in the CUSTOM ORDER box! Payment for your item can be made through credit or debit card, Etsy gift cards, or through PayPal. There are no refunds on custom or personalized items under any circumstances. All sales are final and an order cannot be canceled once it is place due to the custom nature of our products. Thank you for your understanding.